It’s a lot easier to design a crazy cool phone than actually make a working prototype, but where would we be without dreamers. Called the “Line Phone,” this concept was created in China and won the gold award at the 2010 Furong Cup “Digital Product and Service Design Competition” in the country. The first thing you’ll notice is that it has no obvious buttons of any kind and the touchscreen extends all the way to the edge of the face. It’s also shaped abnormally wide for a device of this type. It’s screen looks to be about three times as tall as it is wide. Most interesting is how you interact. Aside from regular touch gestures, you can run your fingers along the edge of the phone to perform a variety of actions. It lights up wherever you touch it as well. 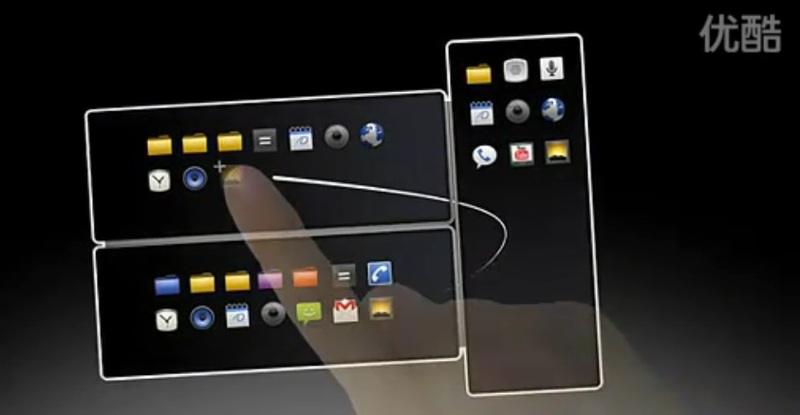 The experience is a bit similar to the BlackBerry PlayBook, which uses gestures started off of the touchscreen to manipulate and multitask. However, while sliding your fingers along the edge of a phone looks cool, how practical would it be when those same fingers need to also be holding the phone? The coolest feature is the screen sharing. By linking up more than one Line Phone, items can be shared from one home screen to another by swiping right across, and if you line up three or four, they can combine to form a tablet of sorts, making this the definitive Voltron of phones. Check out the video below to see it in action, courtesy of TheNextWeb. Do you think this would make a practical device?